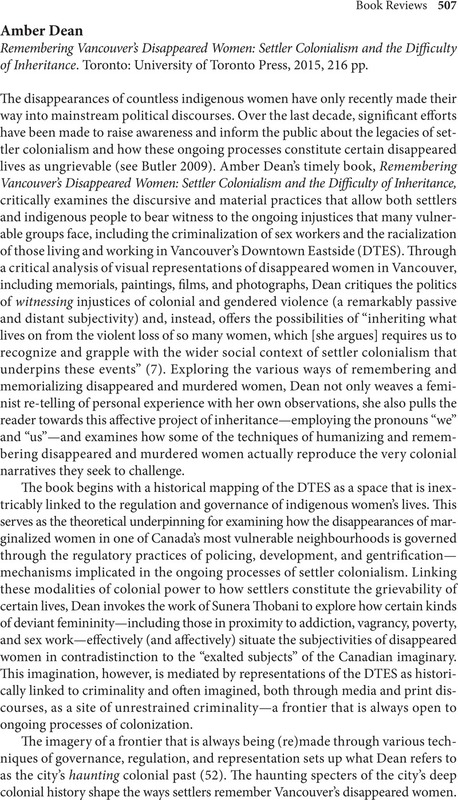 Amber Dean Remembering Vancouver’s Disappeared Women: Settler Colonialism and the Difficulty of Inheritance. Toronto: University of Toronto Press, 2015, 216 pp. Butler, Judith. 2009. Frames of War. New York: Verso Books.